Viknesh Vijayenthiran August 17, 2012 Comment Now! A Rolls-Royce Phantom Coupe not special enough? 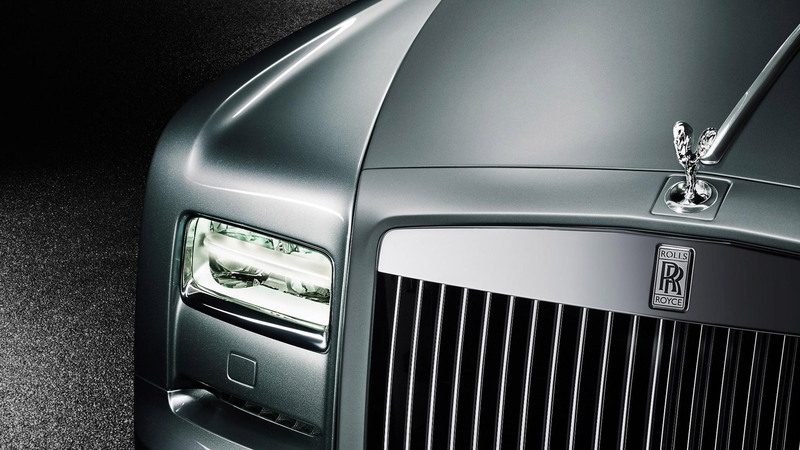 Never fear, as Rolls-Royce has got you covered, with the automaker today unveiling a new special edition at the 2012 Pebble Beach Concours d’Elegance. Labeled the Phantom Coupe Aviator Collection, the new special edition draws inspiration from Rolls-Royce co-founder Charles Stewart Rolls and the legendary Supermarine S6B racing seaplane that won the prestigious Schneider Trophy back in 1931 thanks to the thrust of its Rolls-Royce engine. Only 35 examples of the Phantom Coupe Aviator Collection will be built, each with their own suite of exclusive design concepts, color combinations and custom materials. Outside, the vehicles are immediately recognizable by their unique Aviator Gray paint and contrasting matte-finish on the hood and surrounds for the grille and windows. Step inside and you’re greeted with a beautiful mix of wood and metal designed to evoke the feeling of being in a historic airplane’s cockpit. 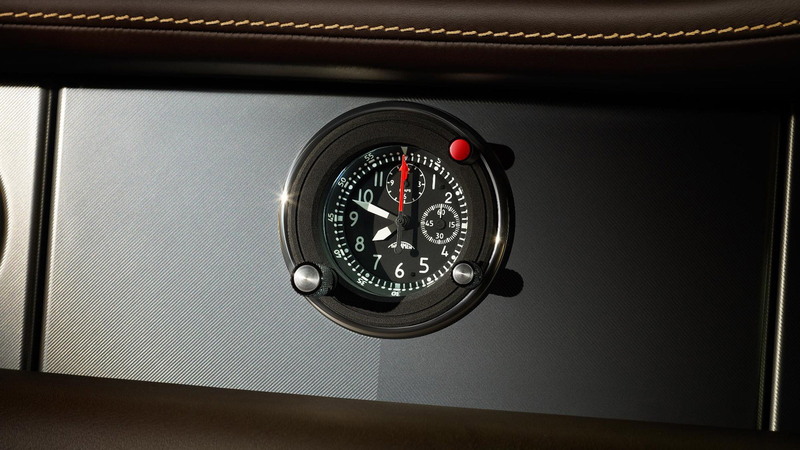 A Thommen, aviation-grade clock with blood orange needle tips is embedded in the metal foil upper fascia, complemented by matte black dials for power reserve, speedometer and fuel gauges. The aviation themes don’t end there, however. The cars also feature a transmission tunnel finished in anodized aluminum and marked with lines that echo the oil cooling veins on the original S6B seaplane. These highlights are also repeated on the armrests. Some of the more special touches include a leather-lined glove compartment with an embossed Charles Stewart Rolls quote made following his first flight with the Wright Brothers in 1908: “The power of flight is as a fresh gift from the Creator, the greatest treasure yet given to man.” And finally, there is a center console chrome plaque that describes Rolls simply as Pioneer Aviator, below a representation of his sweeping signature. 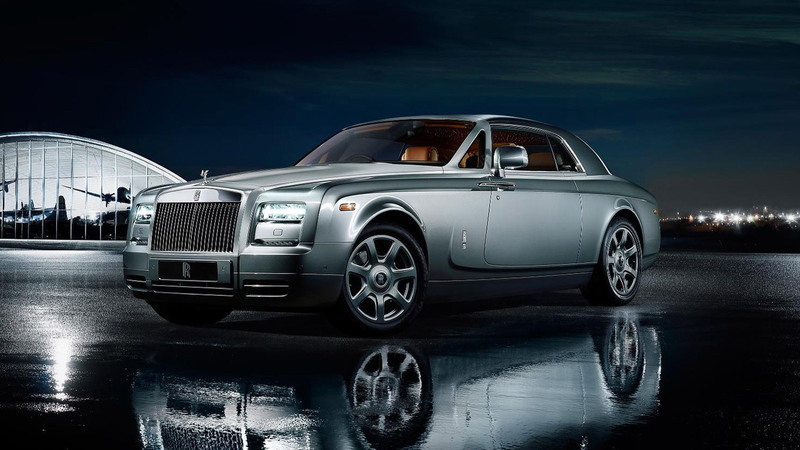 Since the release of the updated Series II range, all Phantom models, including the latest special edition, come with an eight-speed automatic transmission matched to the familiar 6.75-liter V-12 rated at 453 horsepower. Rolls-Royce is now taking orders for the car, and with only 35 planned for production you had better act fast if you’re hoping to end up with one in your garage.